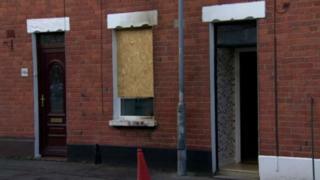 A house has been damaged in a petrol bomb attack in south Belfast. It was thrown at the window of a house in Fortuna Street, off the Donegall Road, at about 00:30 BST on Wednesday. Police said they believe the person responsible may have made off on a bicycle. A motive has not yet been established.